My Mom has been making Beef Stroganoff for as long as I can remember, now that she doesn’t cook any more, Dad has taken over. Stroganoff has been a long time favorite of us kids, grandkids and great grandkids. This is a good sized recipe but I think the left overs are just as good, if not better than the original meal, it is one of those dishes that just gets better after sitting a day or two. Thinking back on my childhood, it is probably just one of many dishes my parents used to make us that they were able to stretch a long way and feed many of us for fairly little money. When you are cutting the pieces of meat into thin slices, a little can go a long way. More kids eating? 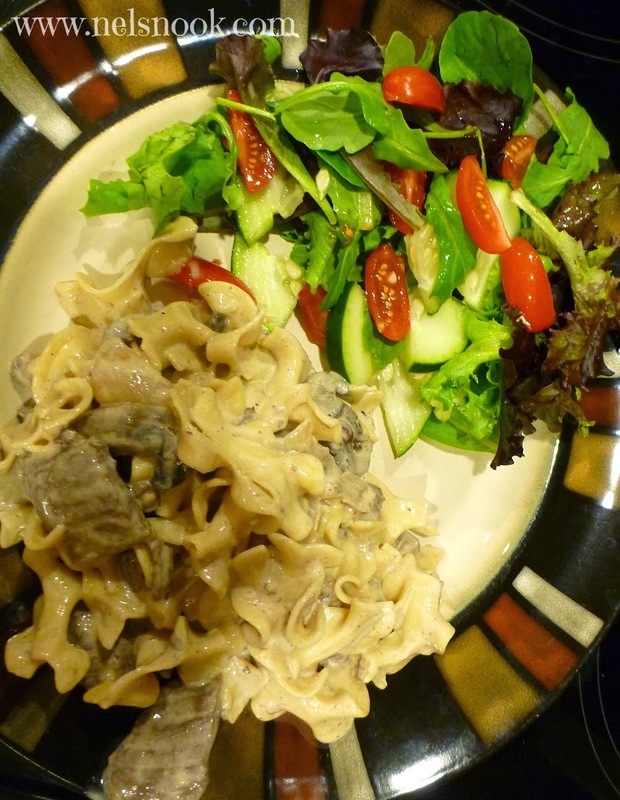 Make a salad, heat up some rolls, throw in some extra broth and noodles and voila - Extra dinner! Being one of the youngest kids in the family, I had a front row seat to the “revolving door” that was our home. A teenager boomeranging back into the home after a year or two on their own wasn’t new in our house, it was the norm. 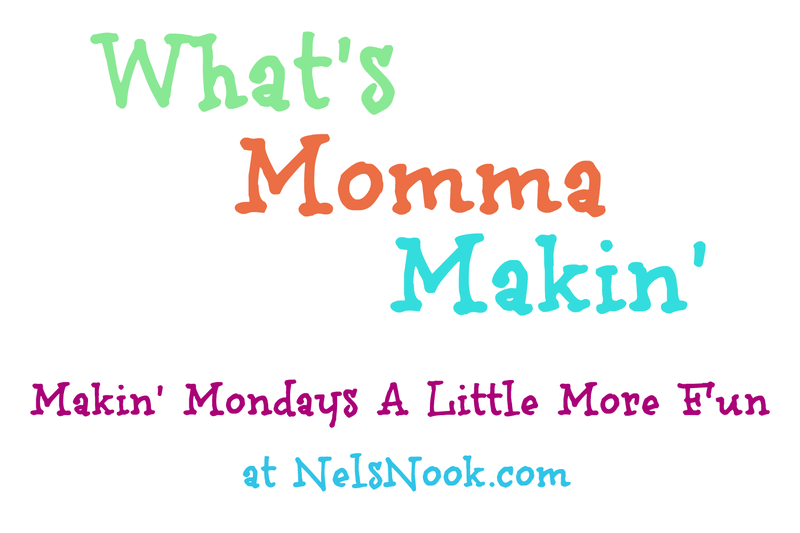 When I was just starting Kindergarten, I had siblings who were already grown and starting families, Sunday night dinners were BIG at our house and everyone was there. Every night of the week, dinner was at 6pm, no matter where you were or what you were doing, you had better be back at the house by 6 or there was going to be trouble. You didn’t want Dad to come looking for you to see why you weren’t on time for family dinner hour. The funny thing was, I never wore a watch as a kid but I can only think of one or two times I was ever late…. Growing up, I thought it was totally normal to have tons of siblings, nieces and nephews who were almost your same age and friends who practically lived at your house because it was the central hub of any neighborhood we lived in and they didn’t want to miss out on any of the action. On top of their own kids, grandkids and great grandkids, there are many family friends out there who were unofficially adopted by the family and were there just as much as any blood relative. In reality, when you have that many kids around, who is going to notice a few extras here and there?? Thinly slice beef into strips (it is easier to trim and slice if it is partially frozen). Add beef, mushrooms and onion to a large pot, cook, stirring occasionally until beef is done. While the meat is cooking, melt the bouillon or bouillon beef base in the 1-1/2 cups water, set aside. When the meat is browned, rinse and drain the mixture, return it to the pot. Stir in the garlic, broth mixture, wine and 2 Tablespoons Ketchup, simmer for 15-20 minutes or until beef is tender. While your beef is simmering, cook egg noodles according to package directions, rinse, drain and set aside. Once your beef is to desired tenderness, dissolve 2 Tablespoons cornstarch into ¼ cup COLD water; slowly pour into beef mixture, stirring constantly to avoid clumps. Cook and stir until slightly thickened reduce heat to low, stir in noodles until well coated; if your stroganoff seems a bit too wet, you can let it simmer a few minutes before adding sour cream. Reduce heat to low, add 1 cup sour cream and pepper to taste. After tasting, you can decide, depending on consistency and your preference, if you want to add any more sour cream. 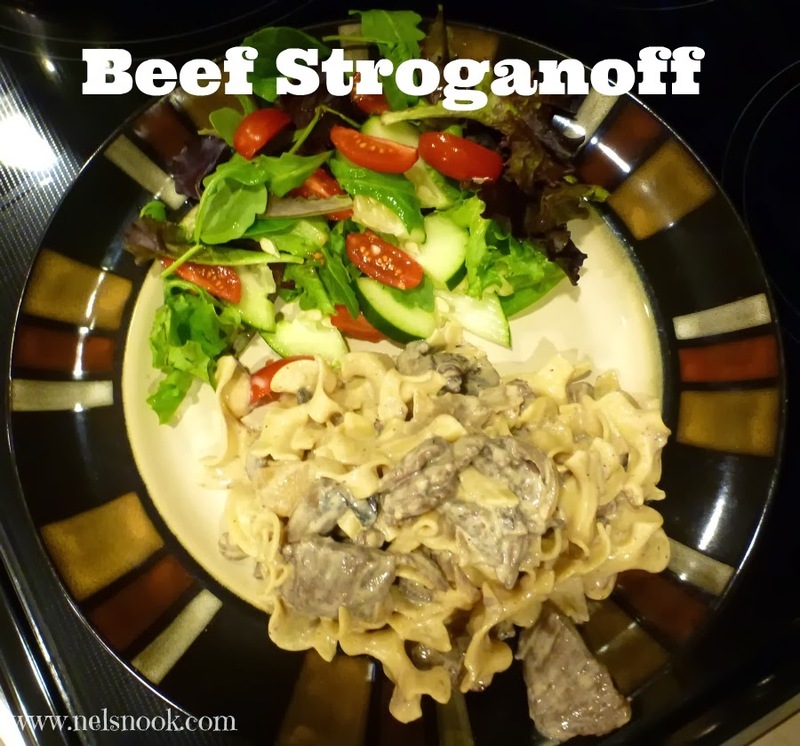 I love Beef Stroganoff Genell and ohhh that salad looks yummy too!